« Nago Evo TTR Now with Carbon Rails :: Lowest Price on the Web! 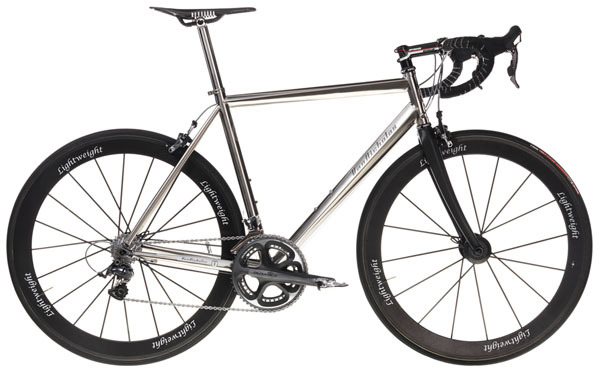 Van Nicholas Titanium Bikes :: FREE RETUL FIT OFFER! We’ve extended our range of bikes! We’re pleased to announce the arrival of an extensive range of Van Nicholas Titanium bikes at Bike Science Bristol. To celebrate, we’re offering our precision motion capture Retul bike fit worth £174.99 FREE with al Van Nicholas bikes purchased before the end of January 2011. BOOK YOUR FREE NO OBLIGATION SIZING SESSION For Van Nicholas, Planet X or On-One bikes online NOW! *Sales take place in UK £’s using exchange rates suplied by www.xe.com. If you can find an identically specified bike cheaper, contact us to discuss a price match! This entry was posted on Monday, November 29th, 2010 at 8:12 am	and is filed under Affiliate Coaches, All Posts, Bike Fitting, Products, Van Nicholas Bikes. You can follow any responses to this entry through the RSS 2.0 feed. Both comments and pings are currently closed.